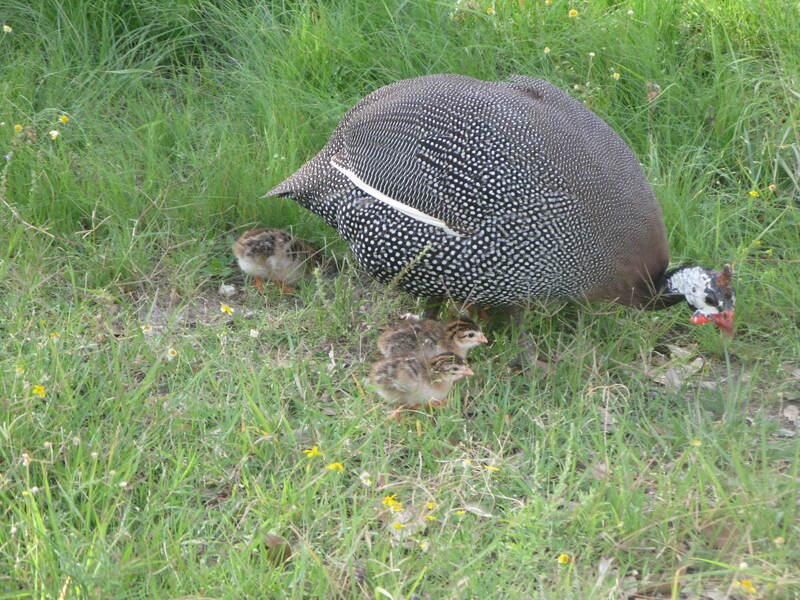 A few months ago one of our 3 guinea hens decided that she liked our neighbors much better and took off, leaving us with only 2 guineas. Then a little over a month ago, another one disappeared. We heard her, so knew she couldn’t be too far away, but she stopped coming around for food in the morning. We finally found her sitting on eggs. 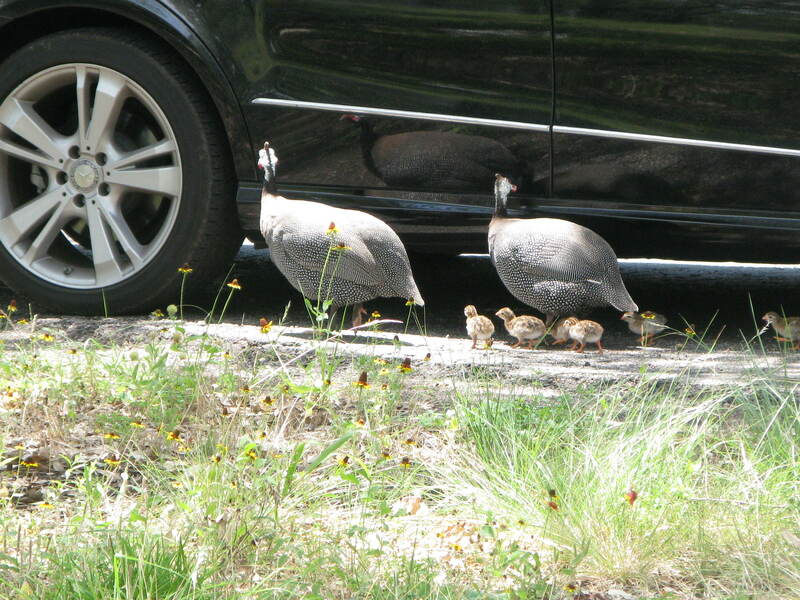 Normally we wouldn’t mind, but in this case we only have guinea hens, which means no fertilized eggs. Being the resourceful person that he is, Eric went on craiglist and found fertilized guinea eggs. We put them under our hen and 28 days later, woohoo! We have 6 keets. The two females are raising them together, what a cute little family. You just keep adding to your ‘family’ there. Yep, it gets crazier all the time! How wonderful for you and great that the ladies are taking care of them. They will be all grown up by the time you get back form Portland. Have a great time. Congratulations! It’s cool that the guineas are sharing the brooding responsibilities. We’ve had hens and goats do that too on occasion. Thanks! Since we didn’t have a male, the second female kept watch while she was on eggs and is now helping raise, it has been quite amazing.